I soon came to realize that I would be repsonsible for Star's recovery. For the next four and a half years I pursued my education in barefoot and rehabilitative trimming. I began researching and gaining knowledge by reading everything I could get my hands on regarding natural trimming. I attended numerous clinics and seminars held both locally and out of state. I attended clinics and seminars taught by different instructors, supporting different methods. But, I must say that the vast majority of my education came simply through hands on trial and error. Throughout this period of time I had achieved a lot of knowledge and some success, but I still did not have the whole picture. Finally, with the help of a local AANHCP practitoner, I became involved with the natural trim method as instructed by Jaime Jackson. This is the method that I chose to recieve my certification in. 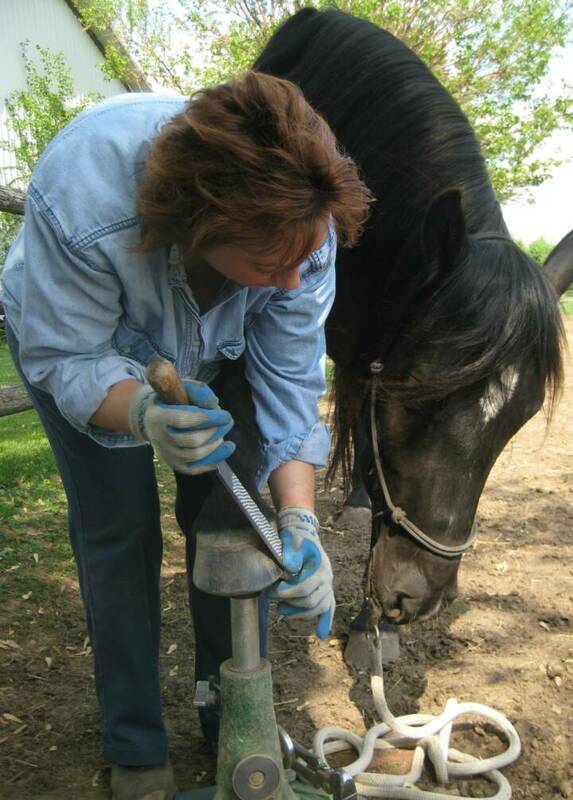 This is the only method, in my opinion, to trim every horse. This is the method that brought my horses to soundness once again. 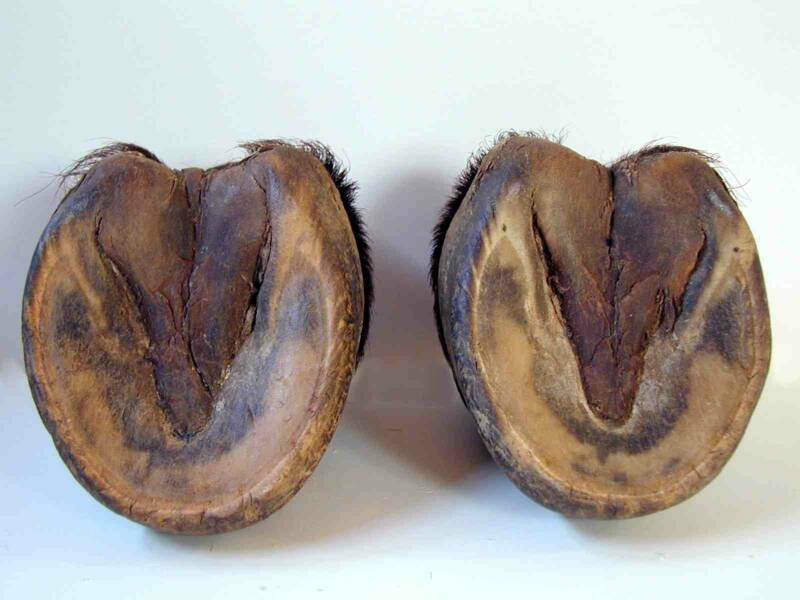 Using the wild horse hoof as our model, we are able to achieve in our domesticated horses, a hoof that is just as sound and useful in their needs, as the wild mustangs of the U.S. 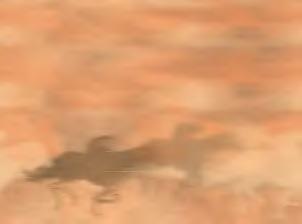 I discovered along the way how incredible the horse’s hooves are and how they adapt depending on these needs. 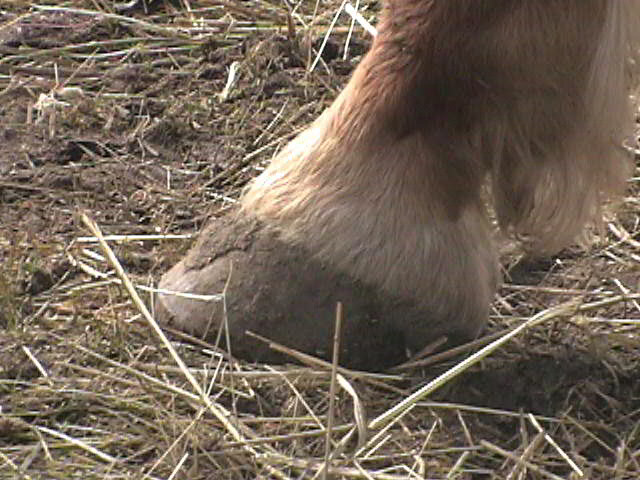 This site promotes and supports only natural hoofcare. That means that if a practice or method is not based on the wild horse model, the only NATURAL model for healthy barefootedness, then it will not be supported by this site. 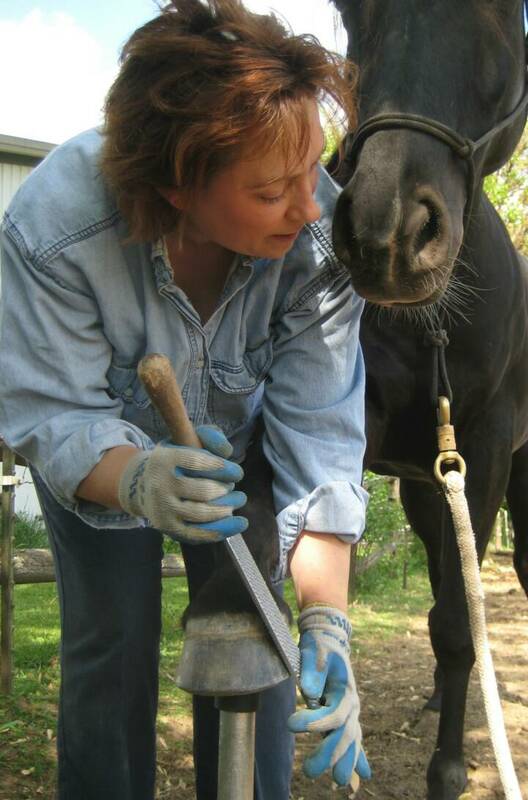 I first became involved in natural hoof trimming when our mare, Star (Big Star) foundered in spring of 2001. 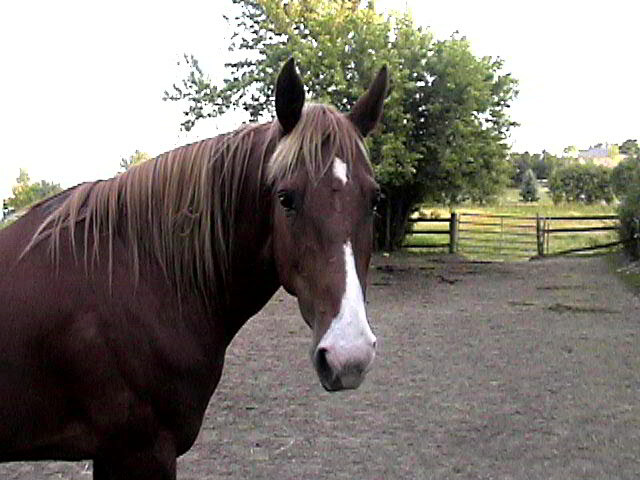 Here she is in the summer of 2001. She is also featured on the home page. I hope you can notice the difference in her appearance. My trimming method takes into account the individual horse’s needs and their living environment to achieve optimal performance, whether they are backyard buddies, or high performance horses. 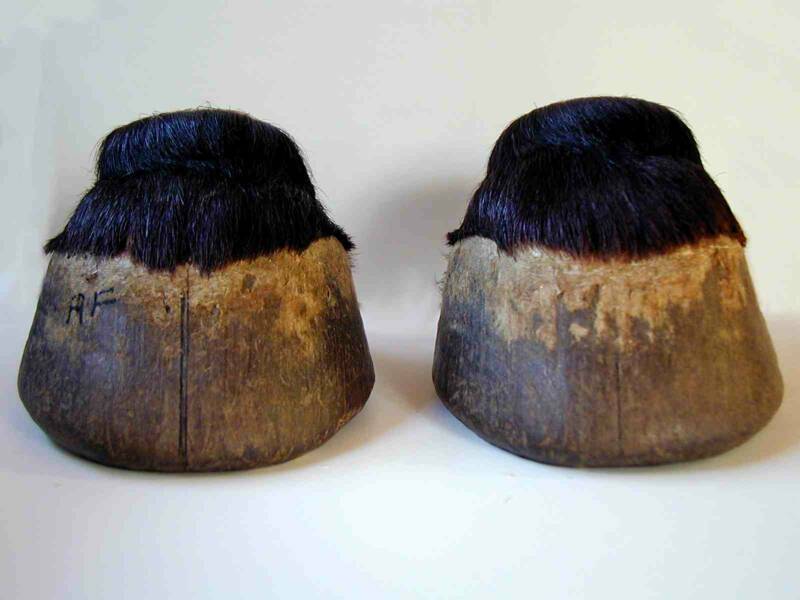 The natural trim method allows the hoof to restore itself to it’s original design, the way nature intended. 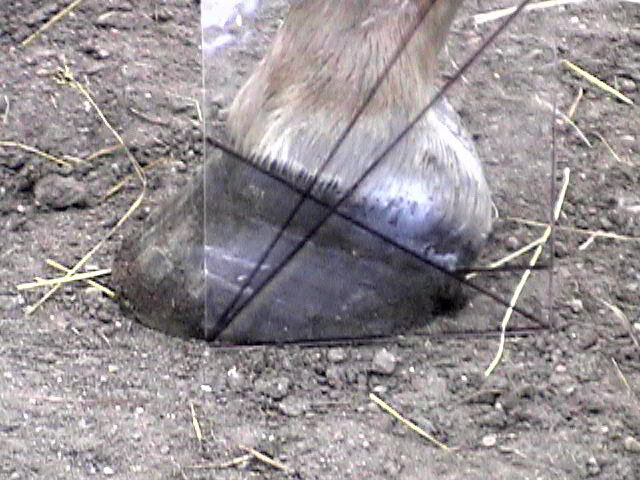 Whether the trim is for maintenance or for rehabilitative purposes, the hoof directs the way. To continue my journey, in 2006, through a friend, I became aware of the Natural Balance Dentistry Method developed by Spencer LaFlure. I had a local practitioner out to my house to work and consult on my horses. I was shocked and disappointed at what he discovered. My horse's teeth had been severely compromised through previous dental experiences. Once becoming educated in the Natural Balance method, I became more aware of the fact that soundness, performance, and the overall well being of horses, can all be related to the mouth. 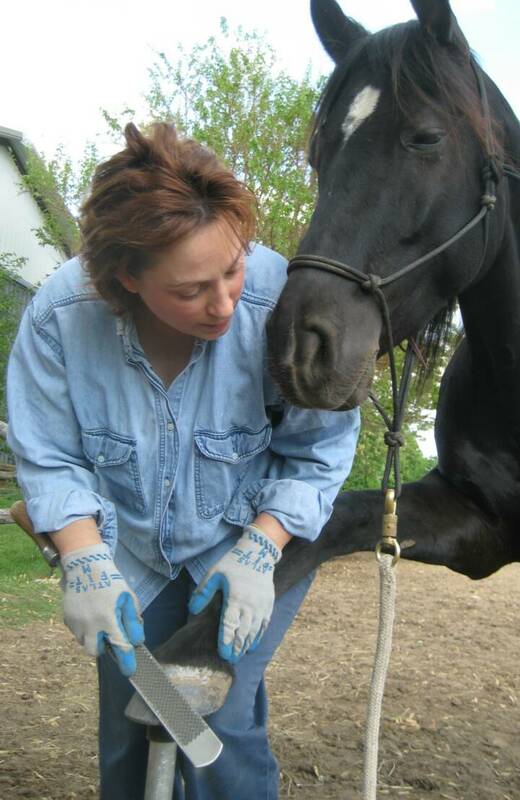 So in an effort to supply my horses, as well as my client's horses, the best of care with this holistic, balanced, approach, I began my journey into Natural Balance horse dentistry. I began my formal education through the certification process in May of 2008, Certifying in November of 2009.